This Coconut Lime Glazed Banana Bread takes a sweet, tropical twist on traditional banana bread. 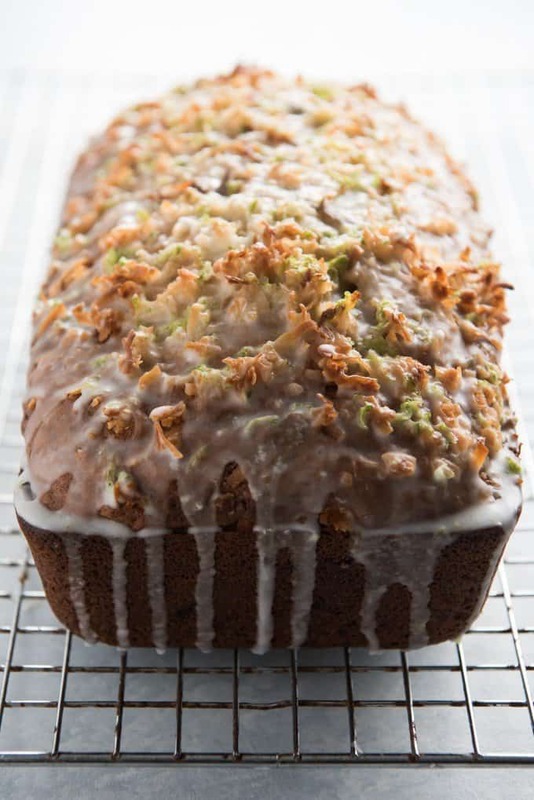 It’s a great way to use up overripe bananas, and every bite of the crust is studded with toasted coconut and lime zest from a simple glaze. Everybody needs a good banana bread recipe in their repertoire for using up those brown-spotted, overripe bananas sitting on the counter. 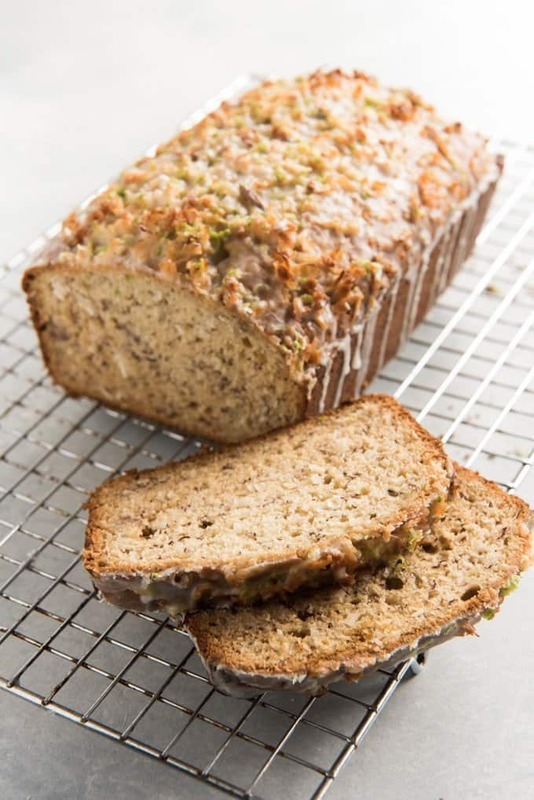 I posted my favorite banana nut muffin recipe a while back, and while I sometimes make that into a loaf too, I really love this coconut lime glazed banana bread variation too. 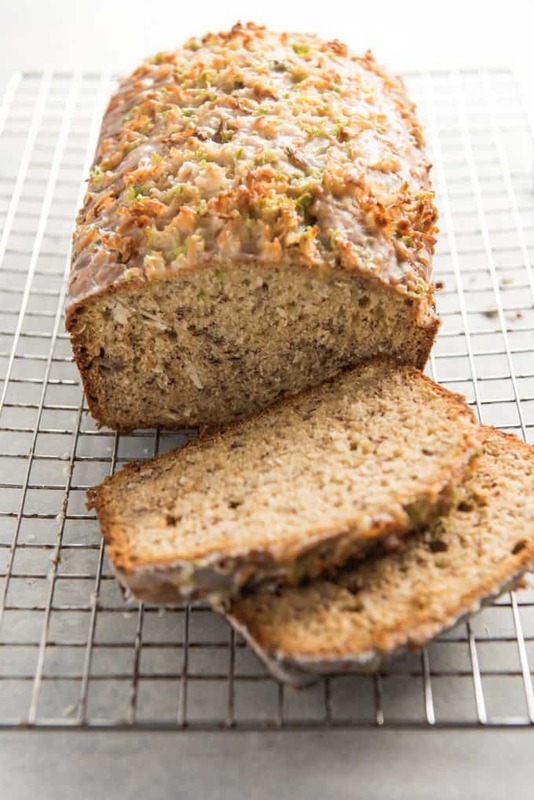 Coconut lime glazed banana bread is so different from your more traditional banana bread. 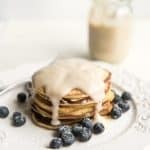 The glaze on top adds extra sweetness, along with the sweetened, toasted coconut, and makes each bite special. 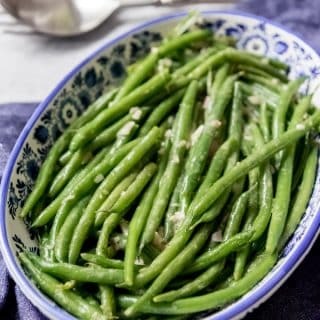 I especially love the tartness of the lime and always zest my lime for the extra flavor it adds. Not to mention those bright green specks of lime zest nestled between toasty golden brown coconut just look pretty! This is also a good way to use up any leftover coconut from Easter. Is that a thing? Do you buy coconut for Easter baking? Seems like often around that time of year I buy a bag of coconut, only use half of it, and then it sits in the cupboard until I remember it and make Mississippi Mud Brownies or this Coconut Lime Glazed Banana Bread with it. This bread is perfect for summertime snacking too because of the light, tropical flavors. 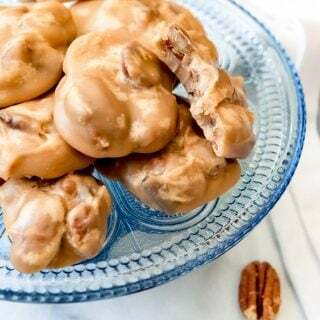 It makes a great afternoon poolside snack and you can pretend you are on a beach in the Caribbean instead of at your 6-year old’s swim lessons. Unless you are actually on a beach in the Caribbean, in which case I’m insanely jealous. Incidentally, does anyone else have the song “You put the lime in the coconut and drink ’em bot’ together/You put the lime in the coconut and drank ’em bot’ up!” running through their head now? 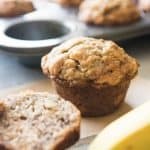 If you love quick breads and muffins, you might also want to try these Raspberry Streusel Muffins or these amazing carrot, zucchini, apple Morning Glory Muffins. Sign up for the House of Nash Eats email list and you will receive new recipes in your inbox when they come out! You can also follow me on Instagram, Pinterest, Twitter, or Facebook. 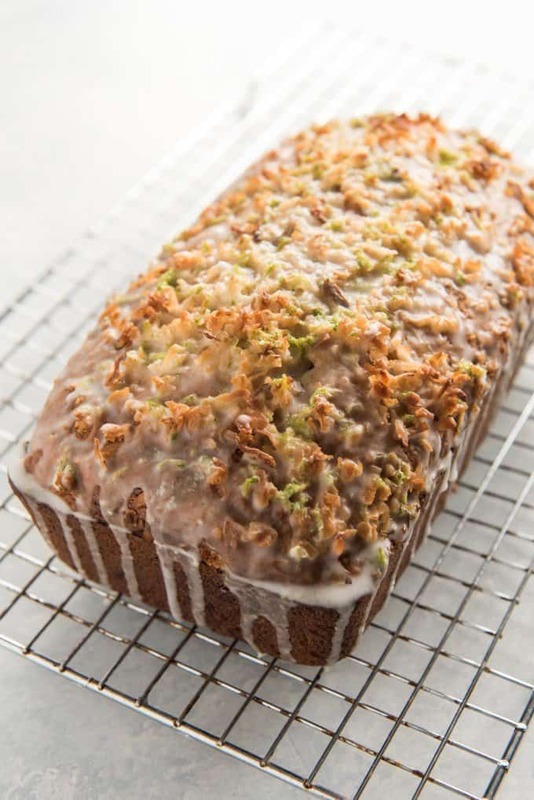 This Coconut Lime Glazed Banana Bread takes a sweet, tropical twist on traditional banana bread. 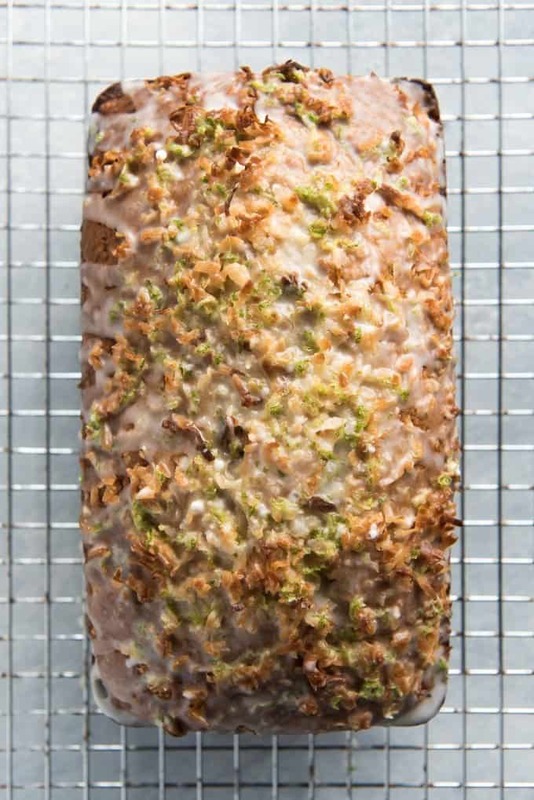 It's a great way to use up overripe bananas, and every bite of the crust is studded with toasted coconut and lime zest from a simple glaze. Heat oven to 350 degrees. Prepare one 9x5" loaf pan with cooking spray or a parchment paper sling. Combine the flour, baking soda and salt in a large bowl and whisk together. 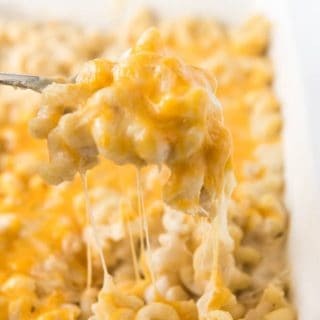 In a separate bowl, add the butter and sugar and beat using an electric mixer until creamy. Add the eggs and mix again until completely combined. 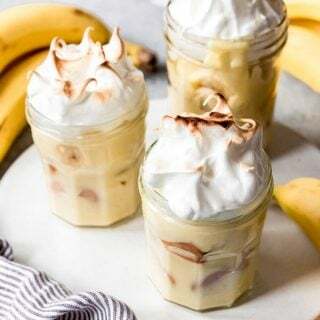 Add the remaining wet ingredients of mashed bananas, sour cream or greek yogurt, apple juice or milk, and vanilla, and beat again until everything is incorporated. Add the flour and mix just until combined and no dry streaks of flour remain. Stir in 1/2 cup of the coconut. Pour the batter into the prepared pan and sprinkle the remaining 2 tablespoons of coconut over the top of the loaf. Bake for 50 to 60 minutes, checking for doneness by inserting a sharp knife or skewer into the middle of the bread to see whether it comes out clean. You might want to loosely cover the loaf with a piece of foil around the 40 minute mark if the coconut on top is starting to look too brown and toasty. Allow the bread to cool in the loaf pan on a wire cooling rack for 10 minutes before removing it from the pan. In the meantime, prepare the lime glaze by whisking together the powdered sugar, lime juice, and lime zest. in a small bowl. Drizzle the glaze over the still warm bread, then let it sit for 15 minutes to set a bit. 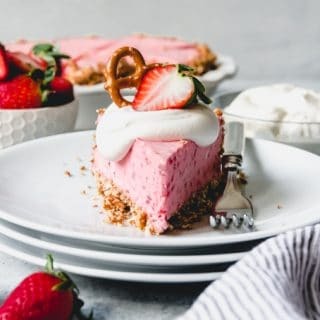 It helps to do this step on a wire cooling rack set on top of a baking sheet or sheet of aluminum foil so the extra glaze that drips off doesn't go all over your counter. This bread freezes really well if you slice the loaf first and freeze the individual slices. 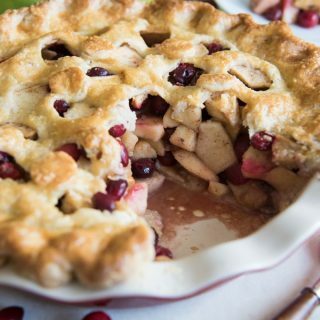 Then you can just heat one or two slices up in the microwave at a later date for a quick and easy weekday breakfast. 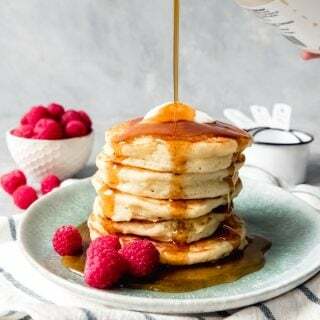 From the 2003 cover of Cooking Light by way of Our Best Bites. That sounds like a delicious creative bread! I need to start baking again! Looks like I can handle this with those instructions! This bread has such a unique combo of flavors! It would be great for a Sunday brunch buffet!! Such a wonderful bread, love the combo of flavors! Pinned it on a few boards! The classic banana bread will never go out of style. The addition of coconut and lime turns this into a tropical treat. What a tasty pairing with my afternoon latte. It would also work well as a brunch item. You can never go wrong with a great banana bread. 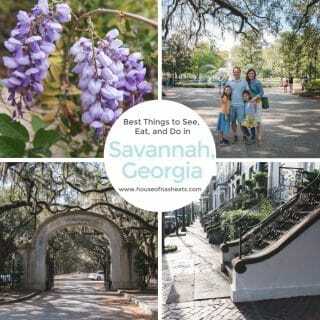 I am always looking for a tasty banana bread recipe because over ripe bananas are always plentiful at my house. I love the coconut lime glaze. 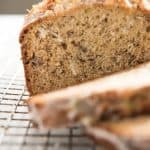 It is a great combination of flavors that pairs beautifully with the bananas, turning this bread into a delicious tropical treat! 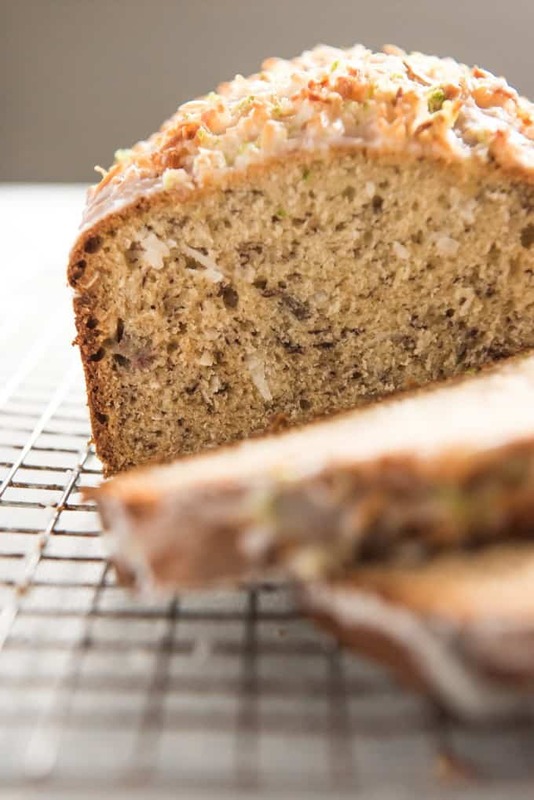 I love the little green flecks of lime that dapple the top of this banana bread — as well as the coconut. I admit to being a coconut fiend, so this tropical combination lime-banana-coconut has it all — I might even add a shot of rum to the glaze, since we’re dreaming about tropical beaches … This is a keeper for me — and guess what I just potted for my patio? A lime tree – and it already has fruit on it! I bet the top of this deliciously looking banana bread tastes similar to coconut macaroons… with all the sweet toasted coconut and sugary glaze. Yum! 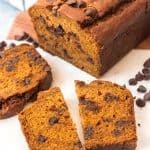 I love the idea of making a humble banana bread extra special like this! I love making banana breads! As much variation as I’ve tried to bring to my b-breads, I’ve never thought to go tropical. And I don’t know why. I mean, banana! Banana IS a tropical flavor! I need to bake this bad boy up ASAP. I love the thought of using coconut in this. Lime and coconut together sounds like a great combo, it reminds me of Thai cooking. Saving this for later. Now this is a bright, fresh take on banana bread! I’ve never thought to add lime to a banana bread glaze, but I think I’ve been missing out because the pairing sounds absolutely delicious. I know I’m going to have some coconut leftover from Easter, so this will most definitely be going on the menu next week.